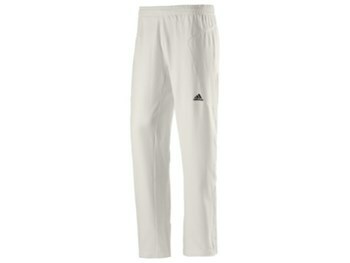 For extreme comfort and performance in all conditions the adidas cricket pant features three Dimensional construction, advance moisture management and ventilation keeping you cool. Stretch weave for ultimate comfort and freedom of body movement Elasticated waist band for optimal comfort. Formotion 3D construction allows the body to move naturally. Climacool inserts for maximum ventilation. Climalite fabric wicks sweat away from the skin keeping you cool.